We only offer water process decaf coffees rather then chemical decafs. Water processed decafs do cost more than chemical processed. 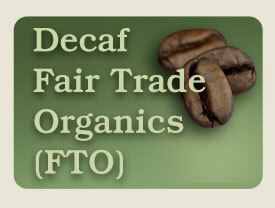 We also offer a Certified Organic Decaf for both brewed and espresso. See our current offerings on the sub-category list to the left.